After years of planning and meetings with corporate officials and municipal leaders, The Wyoming County Chamber of Commerce is pleased to announce that ground will be broken on Tuesday, Oct. 16 for the installation of a natural gas line to bring service to businesses and homes in Tunkhannock. The event will take place at the Wyoming County Emergency Operations Center (above) on Route 6 east of town from 11 am to 12:30 pm. “This is important not only for economic development but also for economic sustainability,” said Chamber president Gina Suydam, who worked with the Tunkhannock Borough Council, Wyoming County Commissioners, UGI Utilities Inc., and the Commonwealth Financing Authority to secure the funds needed to finance a “shovel ready” project. Among the roadblocks overcome by the Chamber and its partner organizations was acquiring the $1-million Pipeline Investment Program (PIPE) grant from the Financing Authority to help cover the cost of installation of a service line from the gate station along Tunkhannock Creek to the first home, a distance of one and a half miles that will produce no revenue. In addition to tapping into an abundant energy supply that is changing the course of the nation – a viable option to oil and propane, for which prices remain volatile – the availability of natural gas in Tunkhannock will also make the area more attractive to investors, Suydam maintains. “We’ve had to turn away potential development,” she explained, citing as an example a furniture company from Israel that was looking at Tunkhannock due to its access to hardwood forests but turned elsewhere because the natural gas infrastructure needed for production was not in place. “We’ve not entered in bids for many state projects,” she added. UGI will tap a gathering line owned by Williams and reduce the pressure of gas before it is passed through a trunk line along Sunnyside Road, past the new Tunkhannock Primary Center, under State Route 29 and up Harrison Street toward the school district’s Intermediate Center. “Our pipe is currently delivered to the area, and our goal is to have our pipeline done this calendar year,” UGI director of business development Don Brominski offered. The work at the gate station should be completed shortly thereafter. “We’re working on both simultaneously.” If all goes well, the first hookups should take place early in 2019. 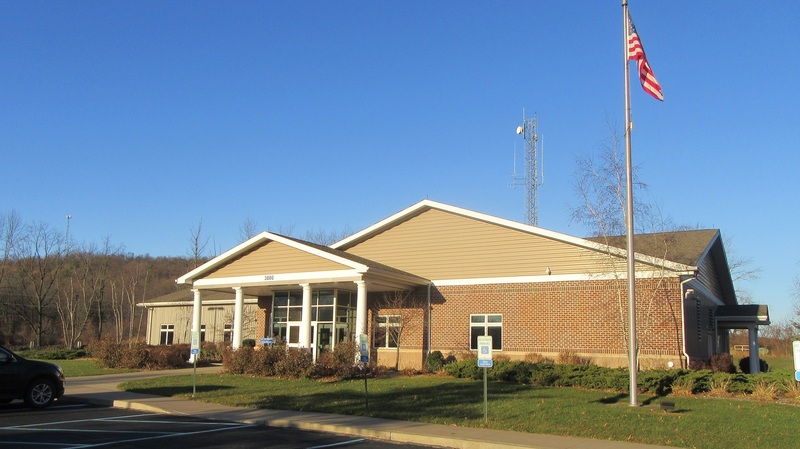 In addition to the county courthouse, emergency operations center, and numerous businesses already committed to hook-ups, it has been hoped that the Tunkhannock School District will opt to take advantage of the cheaper natural resource for heating its buildings. But that agreement has yet to be reached despite savings reported in both the Elk Lake and Montrose school districts in adjacent Susquehanna County within two years of their respective conversions. “This has been a four year project,” Suydam related. The successful transmission of natural gas to Montrose and conversion by many businesses and residents there provided the markers for UGI to determine if the Tunkhannock area would also provide enough customers to pay off the cost of installation. As in Susquehanna County, Cabot Oil & Gas will supply the commodity. The cost could not exceed $10,000 per customer and was originally estimated here at about $15,000. A portion of the PIPE grant will also be used to reduce that cost to $3,000 per homeowner, regardless of setback. The amount can be paid upfront or at $44 per month added to the usage bill. For customers who opt to pay the monthly tariff, the equivalent per unit cost compared to the current price of home heating oil is $2.04 per gallon. Those who make the $3,000 investment up front will pay the equivalent of $1.29 per gallon of heating oil or 86 cents per gallon of propane. “We’ve been setting record numbers on conversions. You can see why the demand is so great for natural gas,” said Brominski, noting that it was a balancing act for UGI under the GET Gas program to make a profit and still allow the customers to recover their investment in equipment. It is untrue, Brominski related, that potential customers must hook up immediately when the lines in front of their homes are installed. “It’s easier for us to supply services while we are out there doing the main,” he maintained. “But you can hook into it at any time in the first 12 years under the GET Gas program.” After 12 years, it is not considered a GET Gas main, and the tariffs no longer apply. For more information, interested readers can log on to www.ugi.com/getgas. Suydam is concerned that some residents might be put off the initial hookups under the premise that they might not be in their current homes long enough to reap the return on their investment. Real estate agents across the country would be quick to inform them that the resale value of any home already hooked up to a natural gas line is always higher than those without. Assistance for residents 65 and older and those who meet low- to medium-income requirements can be obtained through the USDA which offers grants to offset winter heating costs. UGI offers rebates to customers who invest in high-efficiency equipment – specifically those that carry federal Energy Star ratings. Phase II of the project will require a second PIPE grant and will include the area of Tunkhannock surrounding the Dietrich Theater. “The Dietrich Theater brings in so many people with film festivals and other activities,” Suydam remarked. “It was important for us to bring places like the Dietrich Theater into the plan,” noting that the Wyoming County Cultural Center’s forced hot air system is anything but efficient.